Akshay Kumar starrer war drama ‘Kesari‘ has hit the theatres. Amidst all this, we had Abhimanyu Dassani marking his Bollywood debut with ‘Mard Ko Dard Nahi Hota’. Well, the two films of different genres have clashed at the box-office. 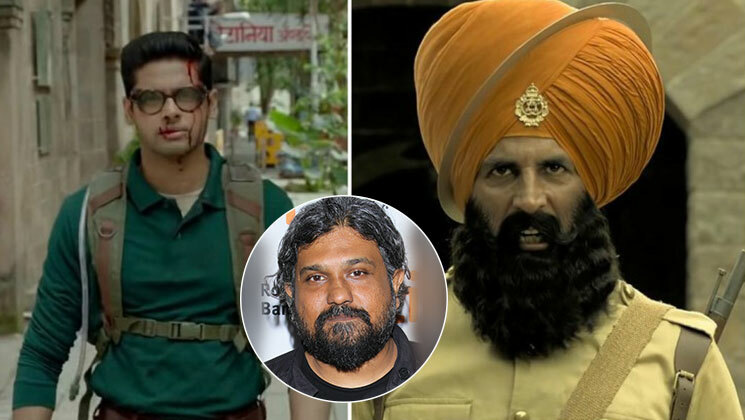 While many try to steer away from box-office clashes, Abhimanyu Dassani is taking Akshay Kumar head-on with his first film ‘Mard Ko Dard Nahi Hota’. Filmmaker Vasan Bala, had toyed with the idea for ‘Mard Ko Dard Nahi Hota’ for about three years. Finally, the movie had its premiere in the Midnight Madness section of the 2018 Toronto International Film Festival. It won the People’s Choice Award there and received a standing ovation at the 2018 MAMI Film Festival. Now it has opened to superlative reviews. Actor Abhimanyu too had posted a video that shows him admitting to the fact that he has been a huge fan of Akshay Kumar since his childhood. ‘Mard Ko Dard Nahi Hota’ revolves around a young man, Surya who lives with a rare condition called congenital insensitivity to pain. Abhimanyu Dassani and Radhika Madan will be seen packing a punch with unconventional martial arts in the gripping action sequences of the film.